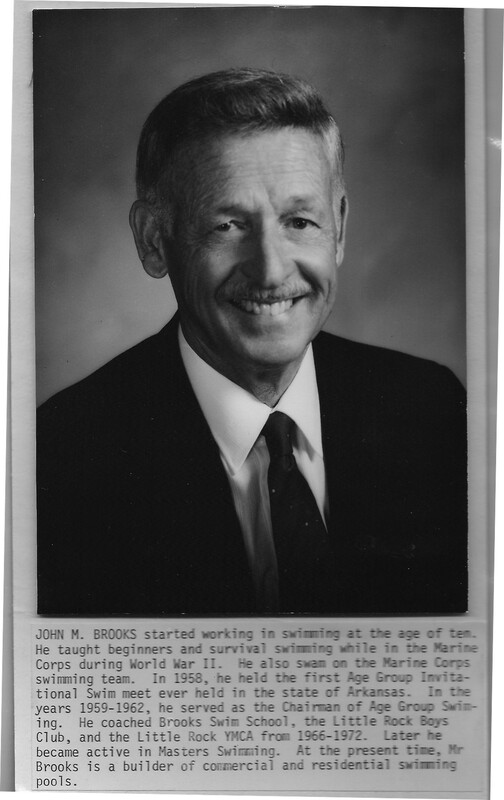 JOHN M. BROOKS started working in swimming at the age of ten. He taught beginners and survival swimming while in the Marine Corps during World War II. He also swam on the Marine Corps swim team. In 1958, he held the first Age Group Invitational Swim meet ever held in the state of Arkansas. Un the years 1959-1962, he served as the Chairman of Age Group Swimming. He coached Brooks Swim School, the Little Rock Boys’ Club, and the Little Rock YMCA from 1966-1972. Later he became active in Masters Swimming. 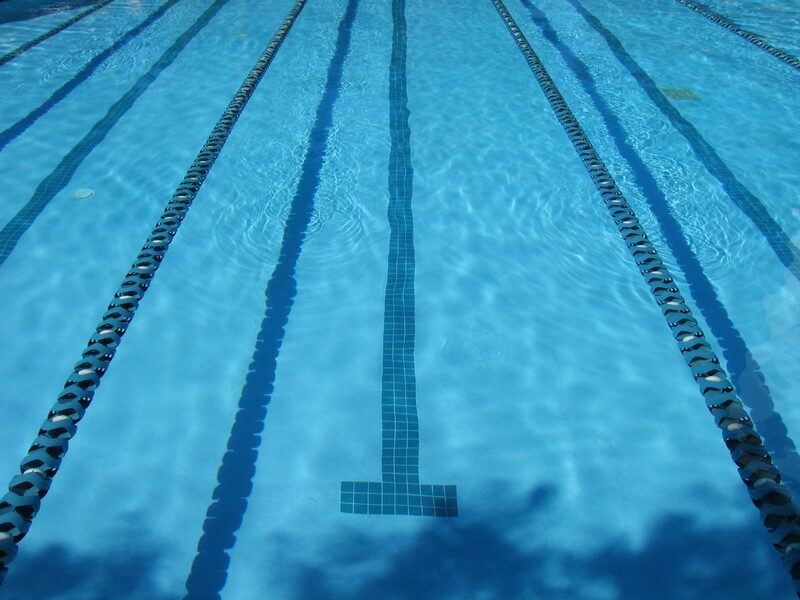 At the present time, Mr. Brooks is a builder of commercial and residential swimming pools.